Finishing the 68th edition of the Sydney to Hobart Yacht Race in one day, 18 hours, 23mins and 12 seconds has secured Wild Oats XI a place in the history books as only the second boat in the history of the race to break its own record. The win also cements Wild Oats XI, owner Bob Oatley and skipper Mark Richards' place in history as the first to claim the treble: line honours, first overall and the race record - twice. 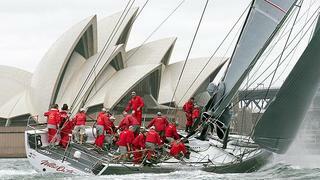 This marks a remarkable string of six victories in the race for Wild Oats XI.